Born on 18th December 1967, in Izola, Slovenia in what was then Yugoslavia, Darko Milanic started his playing career with his hometown team but at the age of seventeen he was signed by top Yugoslav team Partizan Belgrade. He initially joined the Partizan youths in 1985 and they won the Yugoslav youth title in 1986. They deseved to win it as they were far better than any other team in the competition. They beat Buducnost in the final with ease. Unfortunately, not many of those players went on to make fine careers. Milanic was an exception and soon became a member of their first team in 1986. He developed into the pillar of the team's defence and was adept at using his skills in counter attack. He was capped five times by Yugoslavia in 1991-92 and had scored eleven times in two hundred and seventy-three appearances for Partizan before he left for Austrian team Sturm Graz in 1993, after the end of the 1992-93 season. While with the Belgrade team he had been part of their winning the Yugoslav League Championship in 1986-87 and being twice runners-up in 1987-88 and 1991-92 and Yugoslav Cup-winners in 1987-88 and 1991-92. With the break-up of the Balkan States, Milanic became Slovenian and, before injury forced him to retire at the age of thirty-two in 2000, he had made forty-two appearances for them at international level and captained them in the 2000 European Championships. With Sturm Graz he scored ten goals in one hundred and ninety appearances from 1992 to 2000, while in Austria his club twice won the Austrian League, in 1997-98 and 1998-99, and were also runners-up in 1994-95, 1995-96 and 1999-2000. they also won the Austrian Cup three times, in 1996, 1997 and 1999 and were runners-up in 1998 and also won the Austrian Super Cup in 1996, 1998 and 1999 and were runners-up in 1997. He started his coaching career at his hometown club MNK Izola and in 2004 he became manager of Slovenian team NK Primorje. He became an Assistant Coach at his former club Sturm Graz but in at the start of the 2007-08 season he was appointed as head coach with Gorica and guided them to third place in the Slovenian PrvaLiga. On 1st June 2008 he became chief coach of top side Maribor and in six years there he won the Slovenian Championship four times, in 2008-09, 2010-11, 2011-12 and 2012-13 and were also runners-up in 2009-10, together with the Slovenian Cup in 2009-10, 2011-12, 2012-13 and runners-up in 2010-11, and Slovenian Super Cup winners in 2009 and 2012 and runners-up in 2010 and 2011. 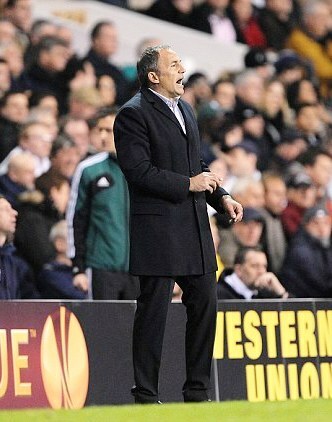 On 4th June 2013 he returned to Sturm Graz, this time as head coach on a three year contract and guided them to fifth spot in the Austrian BundesLiga in his first season. On 21st September 2014 it was announced by Sturm Graz that he had been released from his contract with them and the head coach of Leeds United on a two year contract after they had agreed to pay out his existing contract with the Austrian club. Two days later he was joined by his Assistant Coach Novica Nikcevic as they took over the Leeds post. He was well aware of Leeds President, Massimo Cellino's track record of having thirty-six managers in twenty-two years at Cagliari and two more in less than a year at Leeds. The new chief coach had not been given any deadlines to the first aim of winning promotion, and said "It is a dream for everyone, for the fans, that we make it to the Premier League but we know that it will be very difficult. When we talked [to Cellino] last Sunday he told me my job is to make the squad better, play better on the field and be prepared to play in the Premier League, but not that we are going in Premier League. For me I am concentrating on the extremely important first game and then the next game. I don’t look to 2016 – I live now in this moment. I am very motivated and excited about the new job at Leeds United. I like that the fans come in the stadium and have fun with us but you have to have order on the pitch and be aggressive and play like a team. I want to make some changes technically – I saw that here are many talented guys and I will push them to play.” Asked if he was worried about Cellino’s reputation for firing coaches, he replied: “No. In our job it is at risk every Saturday, every game. I have to do my best.” The Leeds sporting director Nicola Salerno told the news conference that it was unlikely there would be new permanent signings in the January transfer window, but that there would be the possibility for loan deals. After the club had won three and drawn one since former coach Hockaday’s departure, Milanic confirmed that the caretaker manager Neil Redfearn would be in the dugout with him for future games, starting at Brentford that Saturday. He took charge for his first game at Griffin Park on Brentford on 27th September 2014, which saw a poor display from Leeds in a 0-2 defeat this was followed by two home draws with Reading, in a boring 0-0 draw, and Sheffield Wednesday, where there was an improved performance as they came back to draw 1-1 and would have probably won, without an inspired performance by the Wednesday keeper, Kieran Westwood. But two trips away to Rotherham United and Norwich City saw just one point gained. In his sixth game Leeds were hosting Wolverhampton Wanderers on 25th October 2014 and deservedly led 1-0 at half-time only for the visitors to score twice in the second half to claim the points. The impatient Massimo Cellino reacted by sacking him that evening. Milanic's thirty-two day reign was the shortest of any permanent manager in Leeds's history, beating the joint record of Brian Clough and Jock Stein, who each lasted forty-four days. "I want to apologise to the supporters, they deserve better results," said Cellino in a quote on the club's Twitter page. It was agreed that Milanic would remain on the Leeds payroll for the full two years of his contract and technically could be recalled at anytime in that period. He told Radio Slovenia: “I still have a contract on paid leave. During this time I must be ready to take over the team if requested by the owner.” That technically opens the door for a return to Elland Road before the expiry of his contract in two years’ time, something not unheard of in Italy! He rejoined NK Maribor on 1st March 2016 and to present date he has won sixty six, drawn thirty-four and lost only eighteen of one hundred and eighteen games. He led them to the Slovenian championship in the 2016–17 season. He then led Maribor to the group stages of the 2017–18 UEFA Champions League after eliminating Zrinjski Mostar, Fimleikafélag Hafnarfjarðar, and Hapoel Be'er-Sheva in the qualifying rounds.